The decision to pursue facial plastic surgery is a very personal one for men and women. The first impression we normally make on others is with our face. The aging process can result in a tired, unrested appearance that is very bothersome for some people. For others, a particular area of facial asymmetry may be their cosmetic concern. Nevertheless, the motivation for undergoing facial aesthetic surgery is to satisfy your own desire to look and feel your very best. Dr. Morea’s ultimate goal when assisting our patients with their facial rejuvenation is to provide you with a result that is a natural, younger looking version of yourself. Avoiding a fixed appearance and providing you with a firmer, fresher look of youthfulness are the focus of our rejuvenation procedures. The goal of facial reshaping is to reform a specific feature but this does not mean you will look dramatically different. Facial aesthetic surgery can reshape, or recontour various facial features and can be performed on patients of all ages. Face Lift is a procedure to remove excess skin from the face, tighten underlying tissues and muscle and eliminate the signs of aging. It can correct sagging of the midface, jowls, wrinkling and a double chin. It is the most comprehensive approach to treating facial wrinkles and sagging caused by aging. It is often performed in combination with other facial rejuvenation procedures such as eyelid surgery or brow lift. A face lift should be considered if you feel that your face no longer reflects your youthful spirit and energy level or if you feel that your facial sagging and excess skin is a social or career obstacle. Face lift continues to be considered the ‘gold standard’ for facial rejuvenation. A browlift or forehead lift reverses the effects of gravity and tightens soft tissues of the forehead to restore a more youthful contour to your forehead, upper eyelids, and eyebrows. Aging can cause the brow to assume a flat or horizontal position. If a sagging brow affects your appearance, a browlift can rejuvenate the upper third of your face. Dr. Morea performs two different brow lift procedures, one utilizing an endoscope. 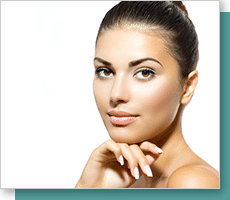 During your brow lift consultation at The Plastic Surgical Center of North Raleigh, Dr. Morea can advise you as to which browlift procedure is best for you. Blepharoplasty is recommended for patients who have excess or hanging eyelid skin covering the natural fold of the upper eye. It is also the treatment for eyelid laxity or lower lid droop. Patients who have puffy, baggy eyelids can also benefit from this surgery. In addition, eyelid surgery can remove herniated fat of the lower eyelid which can cause bulging and eyelid puffiness. Dark circles under the eyes can result from shadows cast by fat bulges in the lower lids. 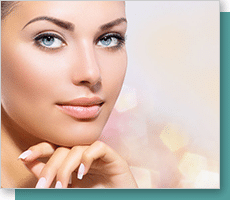 Consult Dr. Morea in our Raleigh, NC cosmetic surgery office for your eyelid surgery concerns. He can help you by recommending the best approach and restore or create a brighter, more rested and alert appearance for you. Full, sensual lips are considered a sign of beauty and youth. Aging causes lips to become thinner and less full. Some patients have genetically thin lips. Lip injections using natural or synthetic fillers such as collagen or hyaluronic acid are a very popular way for people to acquire fuller, more sensual lips. Some patients prefer to use fat from their own body to enhance their lips. A tiny amount of fat is taken from another area of the body using a small needle attached to a syringe. Sometimes patients undergoing liposuction ask to use some of the suctioned fat to augment their lips. Schedule your lip enhancement consultation with Dr. Morea in Raleigh, NC to discuss the best option for you to acquire fuller, more sensual and youthful lips. 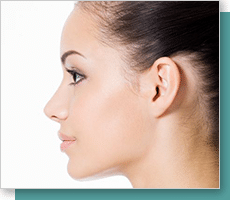 Rhinoplasty is performed for a number of different reasons. Some patients are unhappy with the shape, size or angle of their nose. Other patients feel their nose is too large, too small or not in proportion to the rest of their face. A nose that is not in harmony with other facial features can become the central focus of the face and draw attention away from other attractive features. Dissatisfaction with the nose can negatively affect self-image, emotional development, and psychological well-being. The skill of a plastic surgeon is the key factor in achieving the type of result that each patient desires. Schedule your rhinoplasty consultation with Dr. Morea in Raleigh, NC to discuss your options for nasal reshaping. 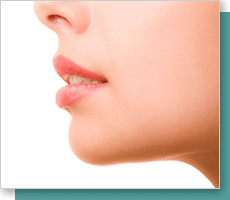 Otoplasty is an aesthetic procedure that alters the size, position, or proportion of the ears. It is most often performed to reposition protruding ears closer to the head. Ears that “stick out” too far from the head can be the cause of great psychological distress in adults and children. In addition to reshaping the ears, there are also surgical techniques that address only the earlobes. 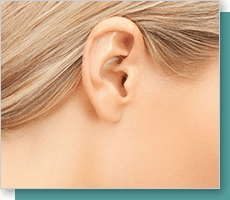 Large or stretched earlobes or torn earlobes can be corrected or improved through relatively minor procedures. The chin and nose are facial features which clearly define a person’s profile. A chin that projects too far from the profile may be regarded as a “strong chin” while one that falls short may be considered “weak” or receding. Patients who desire a more flattering profile often require chin implants to improve the chin’s projection and bring the entire facial profile into harmony. A chin augmentation with implants can recontour the lower face and create a more pleasing profile. Implants are made of either silicone or Gortex. They are available in a wide variety of sizes and shapes which allow Dr. Morea to custom-fit the implant to the patient’s face.